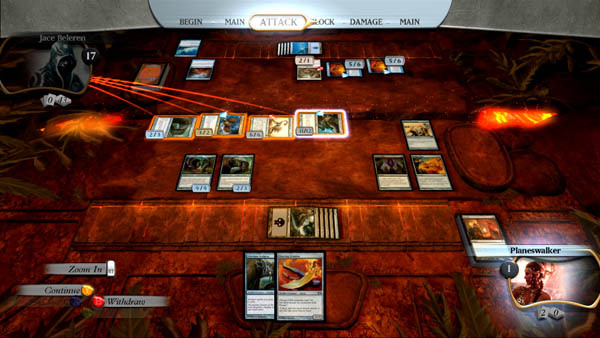 Wizards of the Coast has just announced some future plans for Duels of the Planeswalkers, the video game version of Magic: the Gathering (if you don't count Magic Online that is). It looks like the spell slinging will continue on well into 2010. PC and Playstation 3 owners are no longer left out of the fun, as Duels is headed to both platforms next year. The PS3 version looks to be a straight up port of the Xbox 360 version, and is coming next fall. PC users don't have to wait nearly as long, and get "an extra bonus" with the summer release date. As for the Xbox Live Arcade version, support will remain strong. Two new expansion packs, similar to the one recently made available, are coming to your Xbox 360 in spring and summer, respectively. You can expect more decks, more challenges, and more Planeswalkers. We hope one of these expansions adds in online co-op, as well! Page created in 0.4790 seconds.